Collecting only five points from their last six matches, Tottenham Hotspur are under pressure to claim a home win against Stoke City on Saturday. Adrian Clarke analyses why Mauricio Pochettino’s side have struggled in recent Premier League matches. A dip in form at both ends of the pitch has sent Mauricio Pochettino’s side out of the League’s top four. Fatigue does not appear to be the issue. Over the course of the last six PL matches Spurs have made significantly more high-intensity sprints than they did during a run of six wins, two draws and one defeat between August and late October. Throughout this recent poor run they have also covered more distance per match. And that increase in application is reflected in their defensive stats. Spurs have made extra tackles, interceptions and ball recoveries during a string of largely disappointing results. There has been no downturn in effort or aggression. So, what has gone wrong for a team that were flying high not so long ago? Defensively, they have made a series of previously uncharacteristic errors. Playing in central defence Eric Dier reacted slowly to a flick-on for Manchester United’s winner at Old Trafford, and the same player’s marking contributed to both goals in the north London derby. Davinson Sanchez has also endured a difficult period. The Colombian was outmuscled by Salomon Rondon for West Bromwich Albion’s opener in the 1-1 draw at Wembley Stadium. At King Power Stadium he failed to track Jamie Vardy for Leicester City’s first goal, before reacting too slowly to block Riyad Mahrez’s winner. At Watford, Sanchez also misjudged the angle of his approach towards Richarlison, a mistake that prompted his high arm that led to his second-half dismissal. The absence of Toby Alderweireld has not helped, but Pochettino’s tinkering with his defence may also have been a factor. Across the last six PL matches Spurs have started with four different combinations in the centre of their defence, with a couple of mid-match alterations also thrown in by the manager for good measure. When Spurs had a settled back three with Sanchez playing between Jan Vertonghen and Alderweireld, they picked up four wins and a draw, conceding just three goals. That unit appears to be their best. The goals have also dried up in recent weeks for Spurs. Their average of more than 2.5 a match for the opening nine fixtures has dipped to just 0.66 per match since. Their shot-conversion rate has slumped alarmingly from 11.5% to 4.4% across that period, too. 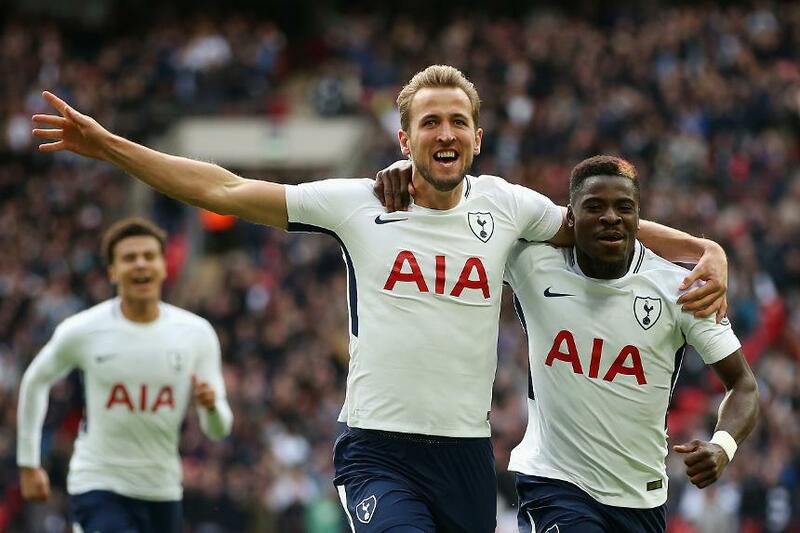 Their attacking midfielders, Dele Alli and Christian Eriksen, have not been at their sharpest, and fitness issues have also affected the form of top scorer Harry Kane. Their star striker is making more sprints per match now than earlier in the campaign, but, tellingly, fewer gilt-edged opportunities are falling his way. Kane’s average shots per 90 have dropped from 6.46 to 4.91 since the win over Liverpool on 22 October. Spurs have found it more difficult to break down opponents of late, especially those who sit deep and put men behind the ball. In matches at Wembley Stadium this issue has yet to be resolved. They scored four times against an attack-minded Liverpool side but in the other six home matches they have produced just five goals. To take all three points off Stoke this weekend Pochettino will hope his players avoid a repeat of recent defensive errors and that his attack can rediscover its creativity of earlier in the season.